A number of riders returned telling us how much they loved the route and appreciated the road markings. Several told us they stopped mid-route to take photos. 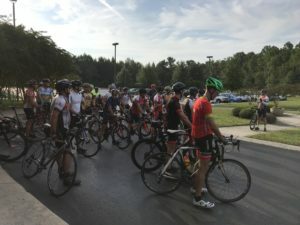 Also, many of the cyclists had lunch together at West Middle after the ride compliments of the CW Concessions food truck. Thanks to all who came out to enjoy the 2018 ERV. The day was beautiful, the routes were great, the cyclists had fun and the food truck selections were yummy all of which led us to a successful 2018 ERV.